I spent 21 years working on my novel Flower of Iowa before it reached the public last year. My most intense research took place while living in Chicago in 1993-1994, a situation that allowed me to explore Tommy Flowers’s home state, including his hometown of Brooklyn. 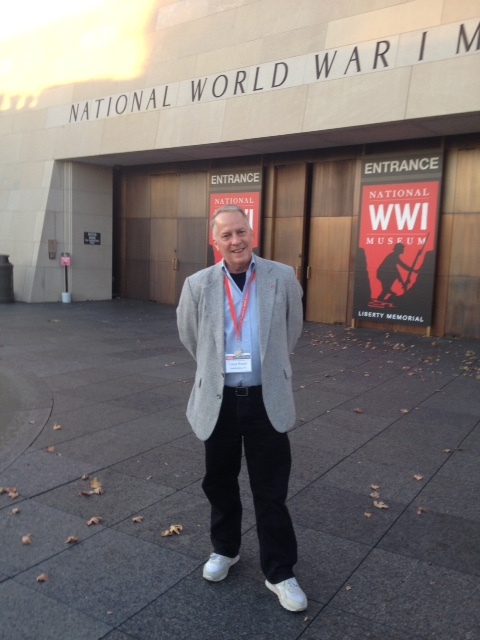 My journey also brought me to the Cantigny estate in suburban Chicago where the nation held its observance of the 75th anniversary of the Armistice that ended the Great War and the Indiana World War Memorial. Although I was already traveling to Great War sites and museums in Britain, France and Belgium to research the novel, ironically I couldn't visit my own nation’s most prominent WWI memorial. 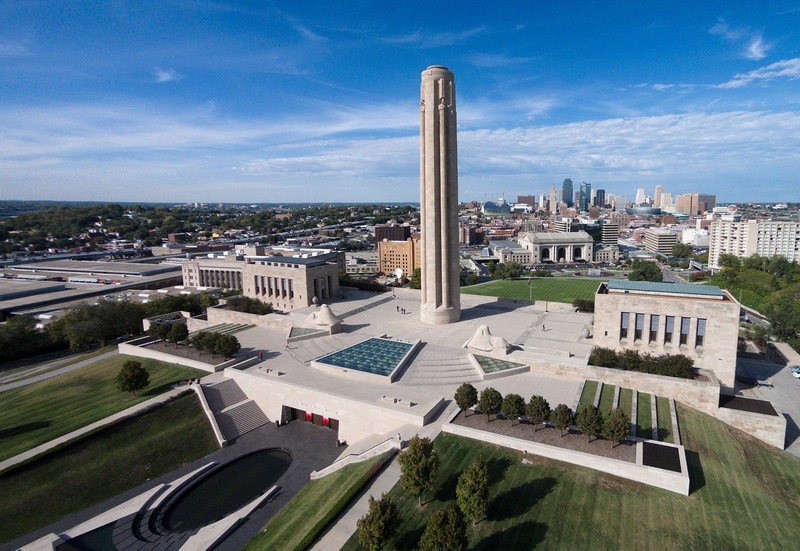 That’s because Kansas City, Missouri’s Liberty Memorial had so deteriorated that it was closed for safety reasons in 1994. 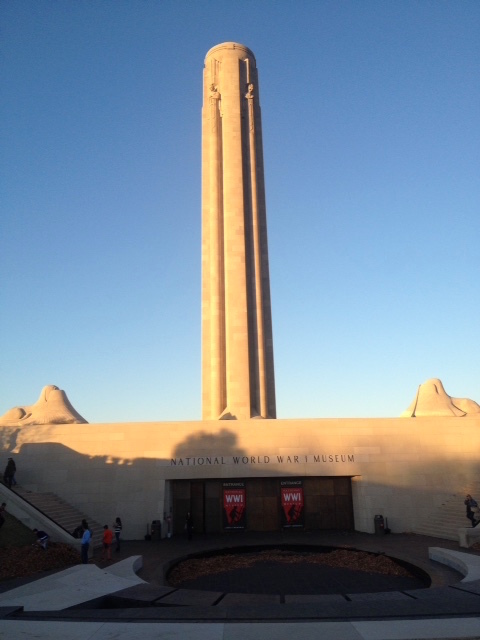 It seemed an ignominious fate for a celebrated monument whose groundbreaking in 1921 drew 100,000 people to watch Generals Ferdinand Foch and John J. Pershing and three other Allied commanders presented with flags by an obscure local WWI vet named Harry S. Truman. As I pursued writing a book about a war forgotten by so many Americans, the Liberty Memorial’s fate was particularly poignant to me. 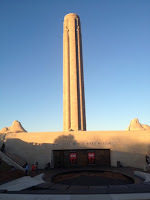 The restored Memorial is an astonishing bit of 1920s Egyptian Revival architecture, with a soaring central tower that is topped at night by a Flame of Inspiration. It is flanked by Assyrian sphinxes and two halls, each of which contains part of an extraordinary French mural called the Panthéon de la Guerre, as well as bronze tablets bearing the names of 441 Kansas City residents who died in World War I. By contrast, the Museum’s modern space combines contemporary audiovisual techniques and artifacts to rival the best Great War museums in Europe. Particularly effective is a film that evocatively uses period footage to re-create the mood – both innocence and menace – of a country marching into global conflict – and taking Tommy Flowers with it. To download the acclaimed Great War novel Flower of Iowa, click here.